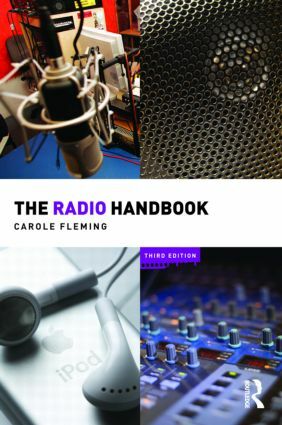 The Radio Handbook is a comprehensive guide to radio broadcasting in Britain. Featuring two entirely new chapters for this edition, You Radio and Sport on Radio, this text offers a thorough introduction to radio in the twenty-first century. Using new examples, case studies and illustrations, it examines the various components that make radio, from music selection to news presentation, and from phone-ins to sport programmes. Discussing a variety of new media such as podcasts, digital radio and web-linked radio stations, Carole Fleming explores the place of radio today, the extraordinary growth of commercial radio and the importance of community radio. The Radio Handbook shows how communication theory informs everyday broadcasts and encourages a critical approach to radio listening and to radio practice. Addressing issues of regulation, accountability and representation, it offers advice on working in radio and outlines the skills needed for a career in the industry.